Stunning Mediterranean estate home in the sought after Bella Foresta. This completely custom home built on one full acre lot is full of luxurious details throughout. 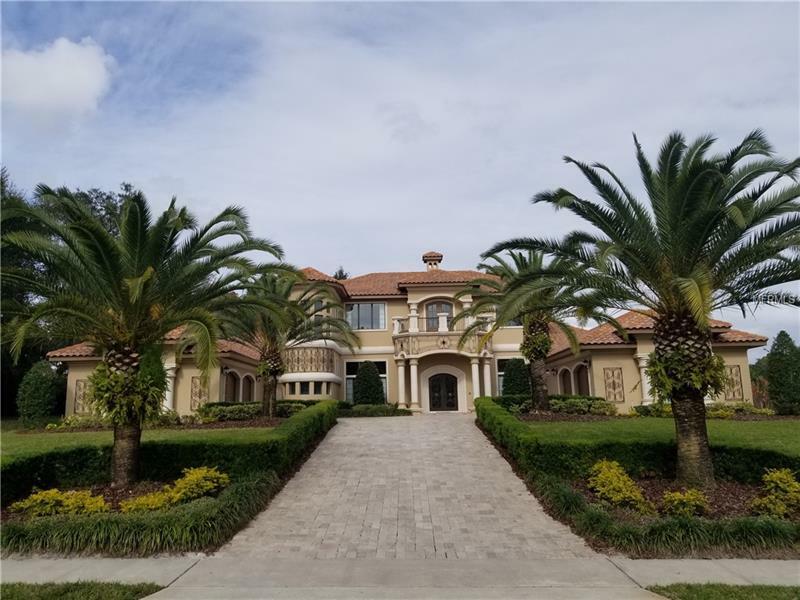 The front exterior of the home boasts travertine stone paver driveway with mature exotic date palms, metal scroll work on the home, and an iron front door. You will be impressed with the grand two story entrance that displays exquisite chandeliers, solid Tuscan columns and ornate arches. As you walk through the home you will appreciate all the timeless travertine flooring, elegant ceiling details and lead glass accents giving the home a one of a kind feel. The wine cellar with iron door has full stone detailing that any wine connoisseur is sure to appreciate. The gourmet kitchen in the home is a true show stopper and features beautiful solid wood cabinetry, amazing granite counters, and commercial grade appliances. The master retreat and spa features a luxurious bath with his and hers custom vanities with granite, soaking tub and large walk around shower. The executive office offers a perfect balance of serenity and luxury for any professional. In the back an enormous outdoor living area with huge pool and hot tub, outdoor kitchen, and gas fireplace overlook the back yard with huge oak trees. The travertine tile decking, tongue and groove wood ceilings, and solid stone columns makes it the perfect for outdoor entertaining. This is a one of a kind home that must be seen to truly appreciate! Amenities Additional Fees: There is a $1000 transfer fee for new buyer. The HOA FEE WILL CHANGE BEGINNING JANUARY 1ST TO 177/MONTH.